Economical, soft, and absorbent. 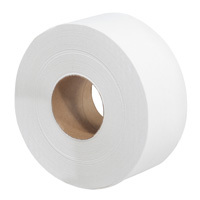 Commercial sized roll is ideal for restrooms with heavy traffic, saving time with fewer roll changes. 2-ply tissue is made from recycled materials. Fits on most dispensers made for jumbo rolls.